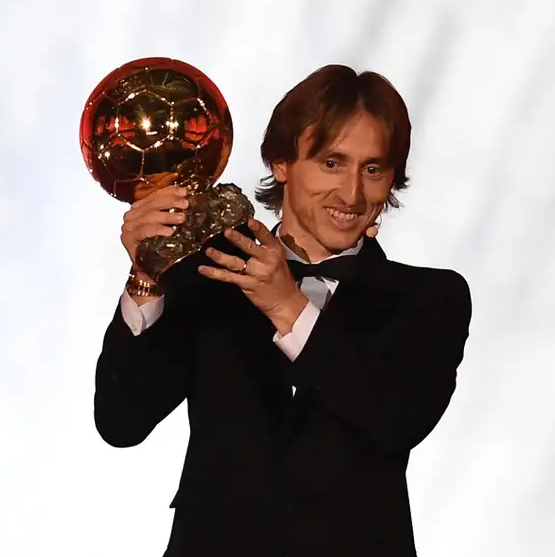 Luka Modric is one of the most complete and best midfielders in the world, Luka Modric is a Croatian footballer who plays for the Spanish club, Real Madrid as well as captains his national team. Modric plays mainly as a central midfielder but can also play as an attacking midfielder or as a defensive midfielder, usually deployed as a deep-lying playmaker. He joined Real Madrid in 2012 after spending four seasons with Tottenham Hotspur and became a member of the Croatian national team in 2006. He led his country to their first ever World Cup final in history, as Croatia reached the 2018 FIFA World Cup final. They eventually lost 4-2 to France. He is the recipient of 2018 FIFA World Cup Golden Ball, followed by 2018 UEFA Men's Player of the Year and 2018 The Best FIFA Men's Player. He is also the recipient of Croatian Footballer of the Year six times, tied with Davor Suker. The 33-year old midfielder has several other awards in his collection. He is considered as the Midfield Maestro and is nicknamed Lukita by his teammates. Luka Modric had the best year of his career in 2018 when he led his country to first ever World Cup final and helped his club to win third Champions League in a row. His contributions to his country earned him Golden Ball in the World Cup, whereas his performances for the club and country won him FIFA Men's Best Player of the Year and UEFA Men's Player of the Year in 2018. However, the 33-year old midfielder is out of his form during early season of 2018-19. His club Real Madrid has already suffered 4 losses and 2 draws in 11 games in the La Liga, whereas Luka Modric has only 1 assist and no goal so far in this season. Following his great achievements in the earlier season, Lukita is trying hard to get back to his best. His passing range, both long and short range. Modric was born on 9 September 1985 in Zadar a village close to the city of Zadar in SR Croatia (then SFR Yugoslavia). He father is Stipe Modric and his mother is Radojka Modric. Modric faced Croatian War of Independence in his childhood. Due to which, he had to live a refugee life. Modric started to play football to escape the reality of the war of independence. Modric idolized Francesco Totti and Zvonimir Boban as his inspiration to play football. Luka Modric started football training in camps before joining NK Zadar in 1996. He then moved to youth system of Dinamo Zagreb in 2002. He was promoted to the senior team in 2003. The same year, he was loaned to Zrinjski Mostar, where he was awarded Bosnian and Herzegovinian League Player of the Year at the age of 18. The young talent was then loaned to Inter Zapresic in 2004. He was awarded Croatian Football Hope of the Year in 2004. He returned to Dinamo Zagreb in 2005 and signed a ten-year contract ahead of the 2005-06 season. Modric helped the club to win 2006-07 season and was named Prva HNL Player of the Year. He also helped his club to win their second Croatian Cup in 2008. English club Tottenham Hotspur signed Modric six-year contract for a club record fee of 16.5 million pounds in April 2008. Modric groomed himself a lot better and came out as a promising midfielder in the Premier League. He played at Spurs for four seasons and was named Tottenham Hotspur Player of the Year Year in 2011. He scored a total of 17 goals during his tenure at Spurs. Many big clubs already showed interest in signing the promising talented midfielder while he was playing at Spurs. Spanish giant Real Madrid signed Luka Modric on a five-year deal in August 2012 for a transfer fee reported around 30 million pounds. He won his first trophy at Real Madrid just after 36 hours of signing defeating Barcelona in the 2012 Supercopa de Espana. 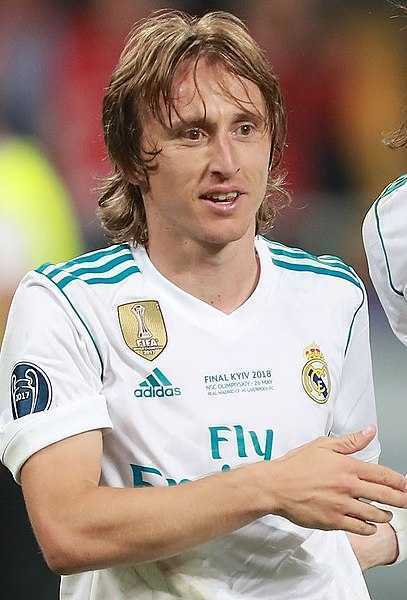 At Real Madrid, Modric helped his team to win one La Liga, one Copa del Rey, two Supercopa de Espana, three UEFA Super Cup, four Champions League, and three FIFA Club World Cup titles till date. He was awarded La Liga's Best Midfielder in 2013-14 and 2015-16 season, Facebook FA La Liga Best Midfielder in 2016, ESPN Midfielder of the Year in 2016 and 2017, UEFA Midfielder of the Season in 2016-17 and 2017-18. Initially, Luka Modric represented Croatia at different age levels including U15, U17, U18, U19, and U21 before making senior debut in 2006. He debuted in a friendly match against Argentina, which they won 3-2. Since then, Modric has represented Croatia in 2006 World Cup, 2008 Euro, 2012 Euro, 2014 World Cup, 2016 Euro, and 2018 World Cup. He became the only second Croatian international after Davor Suker to be included in the 2008 UEFA Team of the Tournament, following his performance in 2008 Euro Cup. 2018 FIFA World Cup turned out to be historical for Luka Modric and his country Croatia. Croatia reached the World Cup final for the first time in their history defeating England in the semi-final. Croatia finished the campaign in the second position, as France defeated Croatia 4-2 in the World Cup final. Modric was awarded the Golden Ball as the best player of the tournament. Luka Modric is married to Vanja Bosnic. They got married in a private ceremony in May 2010 in the Croatian capital Zagreb. Earlier, the couple dated for four years. The couple is blessed with three children. He has a son named Ivano and two daughters named Ema and Sofia. He loves to live in a quiet family life. He has maintained his personal life private. As of 2018, the net worth of Croatian midfielder is estimated at around $8 million. Real Madrid signed him from Tottenham for 30 million pounds in August 2012. Earlier, Tottenham signed him for club record fee of 16.5 million pounds in April 2008. He has earned his fortune mostly by playing at Tottenham and Real Madrid.